Why to use our Hosting? At TECHNOCRATS FORUM, we constantly strive to deliver total customer satisfaction with all our hosting services. That's why we offer fast, reliable and secure service that's backed by our friendly, knowledgeable support team, 24/7. We upgrade yourself continuously to deliver better service. We're in the business of making your online identity. TECHNOCRATS FORUM is a globally focused application development company. We are situated in the heart of Nashik city. We are known for our better Service, Quality, Innovation and Integrity. We as a company provide best solutions to our clients and business associates. We at TECHNOCRATS FORUM provide world class solutions by implementing right technological solutions and integrate as per client’s requirements. We serve in multiple domains like banking, education, healthcare, pharmaceuticals, hotel & luxury business, real estate and industrial solutions. We believe in client’s happiness through our logical solutions. Our clients are our strength. We always bend ourselves to server our clients at each level. Relation with us provides an edge to our customers remain up to date with the technology. On the basis of our prompt service, quality work, friendly support and innovative ideas TECHNOCRATS FORUM aim to be the best in the near future. We are a team of technocrats. Our expert technocrats always deliver work and provide high class service to our all the clients. We always believe in the customer satisfaction and we consider it as our moral duty. We don’t just provide service; we build relations with our customers. 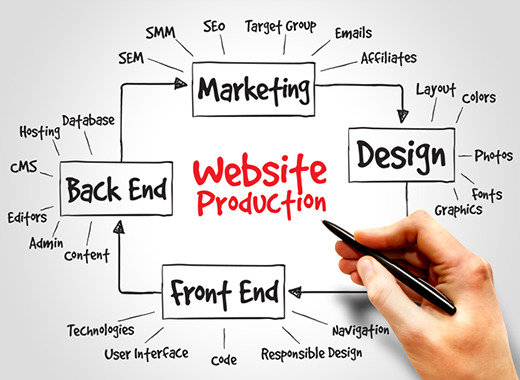 A dedicated team of creative designers and software developers understands to deliver higher quality work. We implement the software development life cycle (SDLC) to bring quality in the work. We ease problem and bring a standard quality logical solution with best user friendly application. TECHNOCRATS FORUM is always taking efforts towards improvement of quality values, research, innovations and outcome. The result has proven our Integrity. We always find the opportunity to show case our knowledge by accepting every challenge. Our passionate, creative and crazy-can-do artist programmers are always bring innovation in every opportunity. We are a group (hence FORUM) of developers & creative designs who understand higher quality work and dedication make all the difference to our customers. Journey of TECHNOCRATS FORUM started in 2011. Founded in Kothrud, Pune. In a short span of 6 Years, we have accepted many logical challenges and delivered multiple technical solutions. We proudly stand in the IT industry with passion of excellence and strong client base across India. TECHNOCRATS FORUM is founded and leaded by Mr. Swapnil M. Sonkamble. He is a First class computer graduate from University of Pune. With the 8 years of experience in the IT industry, he has very strong connects of clients and business associates in India & abroad. TECHNOCRATS FORUM has business association with many top class business entities in various domains. We have a development office in the heart of Nashik city.Expansion of TECHNOCRATS FORUM in Nashik made successful with the help of crazy developers and creative designers, who understand high quality work and dedication makes all the difference to our customer. We work for opportunity. Accepting every opportunity as a challenge took at this high level. We have a team that turns an idea over a dozen ways, and then says: "Sure, we could do that!"